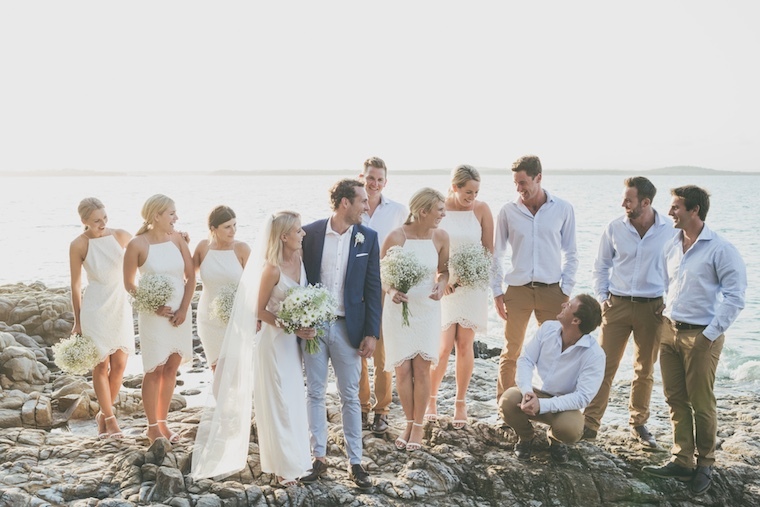 80 of Taryn and Brad's family and friends found their wedding a darn great excuse to leave Adelaide behind for a few days in Noosa paradise for their wedding - and a little holiday. Taryn and Brad are big fans of the destination wedding. 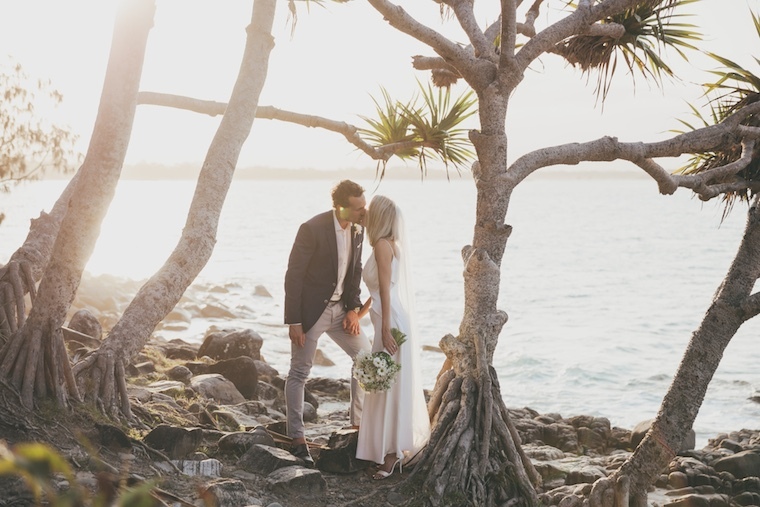 They fled their hometown of Adelaide with an entourage of 80 to have a relaxed holiday on the Sunshine Coast’s popular holiday – and wedding – spot, Noosa. 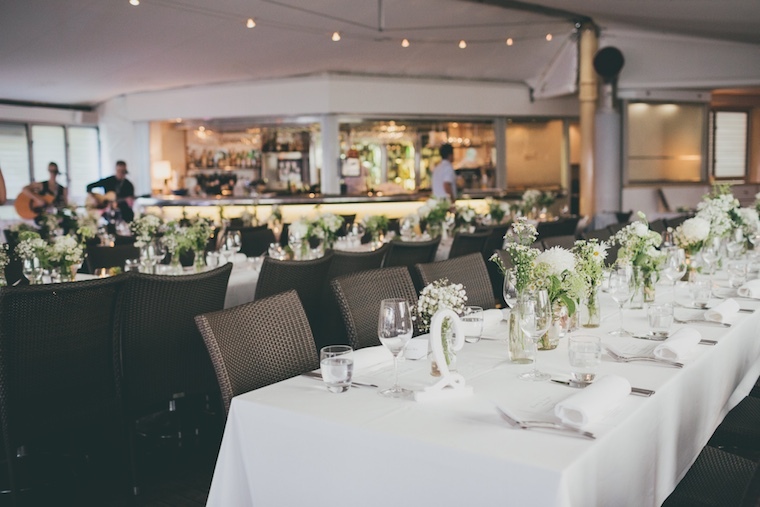 Wanting their wedding to reflect them as a couple, they planned a simple chic affair with a big focus on being relaxed, while still remaining stylish. 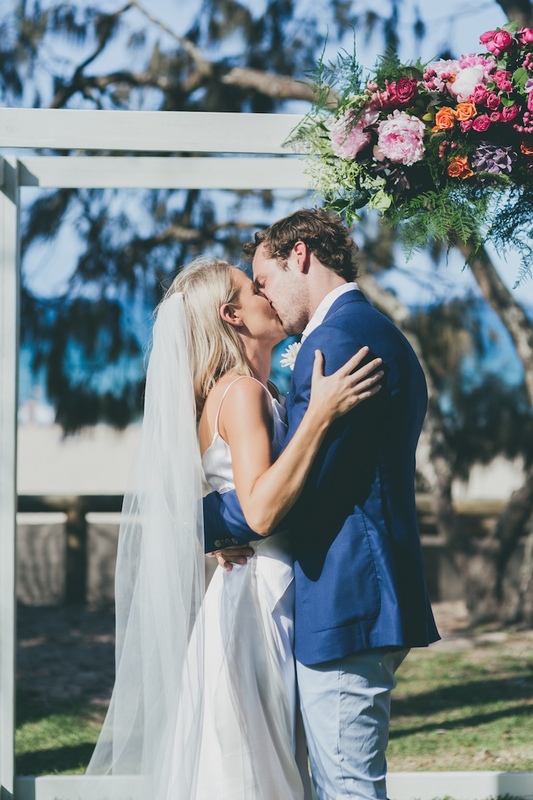 Bride, Taryn, relied heavily on online resources to plan her big day in Noosa from interstate. All of their family and friends, who traveled with the couple enjoyed perfect weather with sunny days and balmy nights on the group holiday. 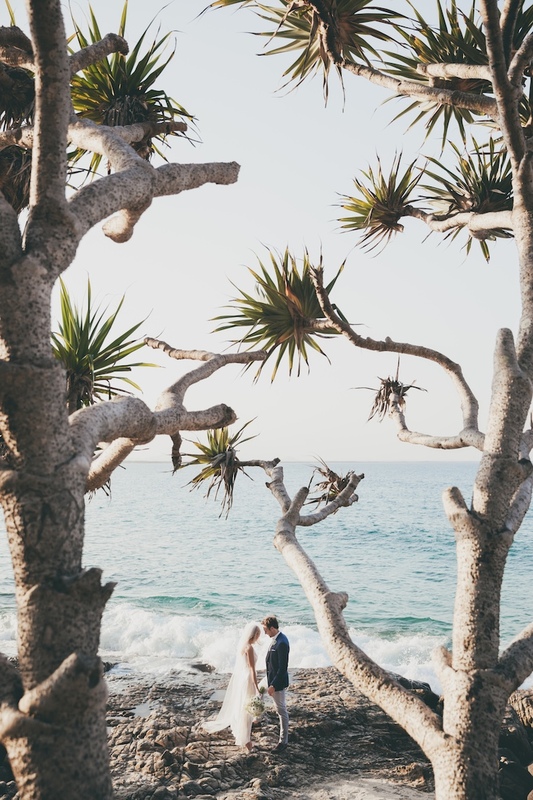 I say Taryn and Brad’s Noosa destination wedding was a pretty darn great excuse to get on a plane, leave the daily grind behind, paradise bound.